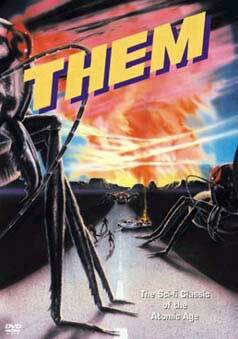 Atomic tests produce huge, mutant ants that threaten New Mexico and California. This film brings to mind, "Tarantula". James Arness (Gunsmoke) is solid as an FBI agent, investigating strange deaths in the desert. The crisp black and white photography, by Sid Hickox, helps sell the credibility of the far fetched story premise. The cast includes: Edmund Gwenn, James Arness, James Whitmore, Joan Weldon, Onslow Stevens, and Fess Parker.